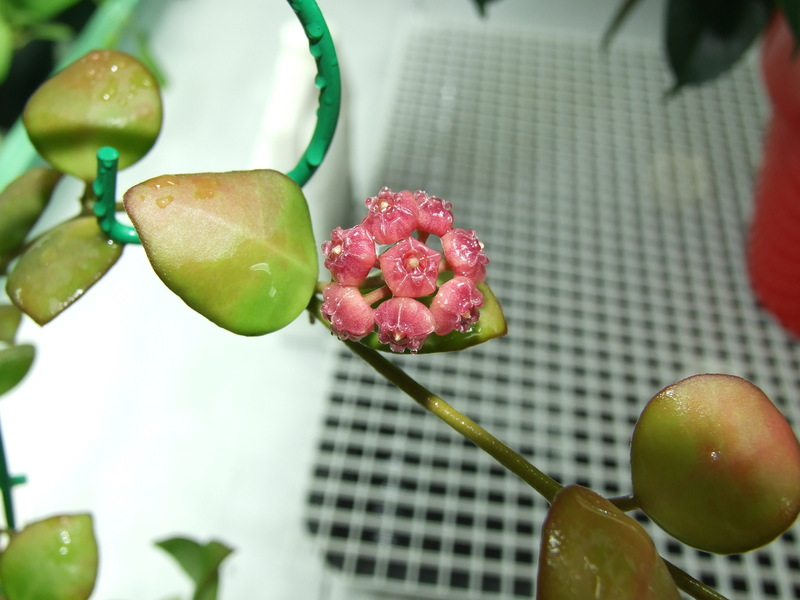 This plant is a must have – great for the light garden or anywhere that you have a little warmth and extra humidity. If the conditions are right it will flower for you all year long. It is available with pink, yellow, and red flowers. I have yet to see the red cultivar. 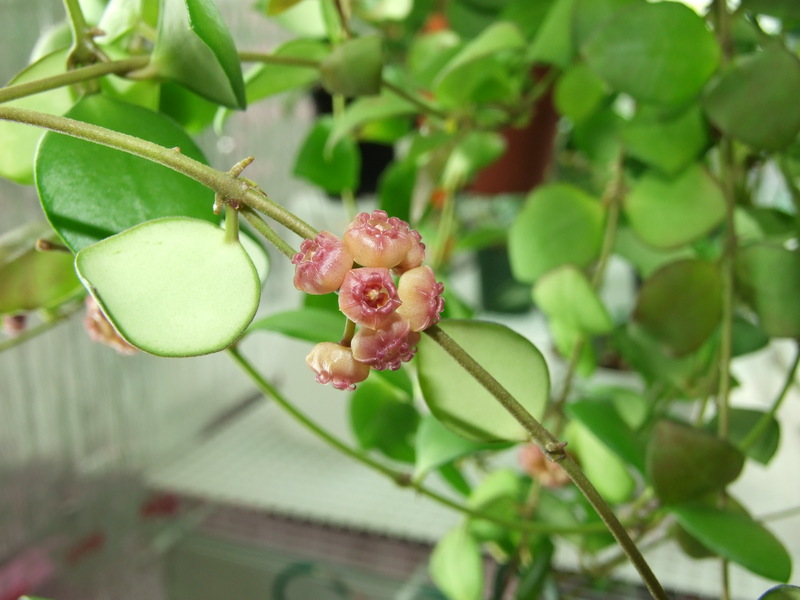 I have not had any success with this Hoya in the main house; it really needs warmth and humidity to thrive. 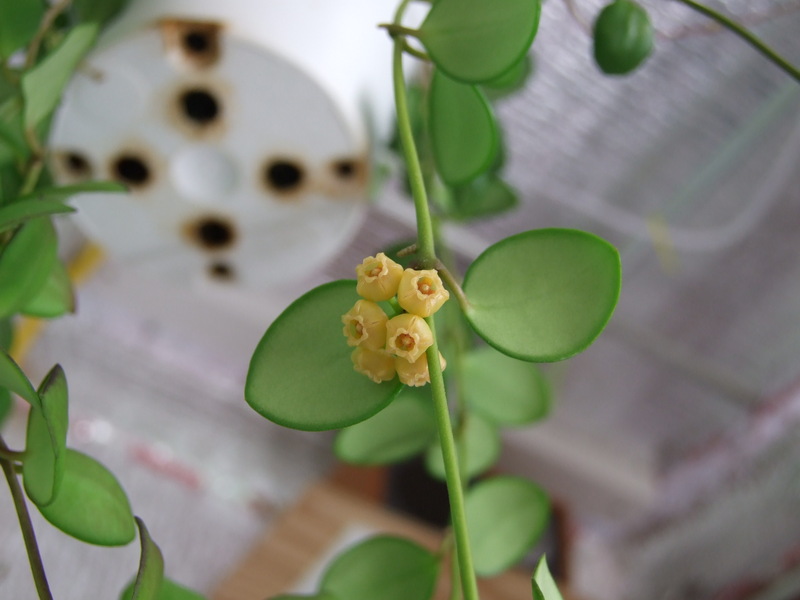 As an added bonus, the flowers smell like buttered popcorn – what more could you ask for in a plant.